Polk County is located in the State of Florida. The county population was 602,095, as of the 2010 census. Its county seat is Bartow, and its largest city is Lakeland. Polk County comprises the Lakeland-Winter Haven Metropolitan Statistical Area. This MSA is the 87th most populous metropolitan statistical area and the 89th most populous primary statistical area of the United States as of July 1, 2012. Polk County is home to one public university, one state college, and four private universities. One Fortune 500 company – Publix Super Markets — has headquarters in the county. The first people to call Polk County home arrived close to 12,000 years ago during the last ice age as the first paleo-indians following big game southward arrived on the peninsula of Florida. By this time, the peninsula had gone through several expansions and contractions due to changing sea level; at times the peninsula was much wider than it is today, while at other times it was almost entirely submerged with only a few small islands exposed. These first paleo-indians, nomadic hunter/gatherers who did not establish any permanent settlements, eventually gave way to the "archaic people", the ancestors of the Indians who came in contact with the Spaniards when they arrived on the peninsula. These Indians thrived on the peninsula and it is estimated that there were over 250,000 in 1492 when Columbus set sail for the New World. As was common elsewhere, contact with Europeans had a devastating effect on the Indians. Smallpox, measles, and other diseases, to which the Indians had no immunity, caused widespread epidemic and death. Those who had not succumbed to diseases such as these were often either killed or enslaved as Spanish explorers and settlers arrived. Within a few hundred years, nearly the entire pre-columbian population of Polk County had been wiped out. The remnants of these Indians joined with refugee Creek Indians from Georgia and The Carolinas to form the Seminole Indian Tribe. For around 250 years after Ponce De Leon arrived on the peninsula, the Spanish ruled Florida. In the late 17th century, Florida went through an unstable period in which the French and British ruled the peninsula. After the American Revolution, the peninsula briefly reverted to Spanish rule. In 1819, Florida became a U.S. territory as a result of the Adams-Onis Treaty. While Florida gained statehood in 1845, it was not until 1861 that Polk County was created from the eastern half of Hillsborough County. 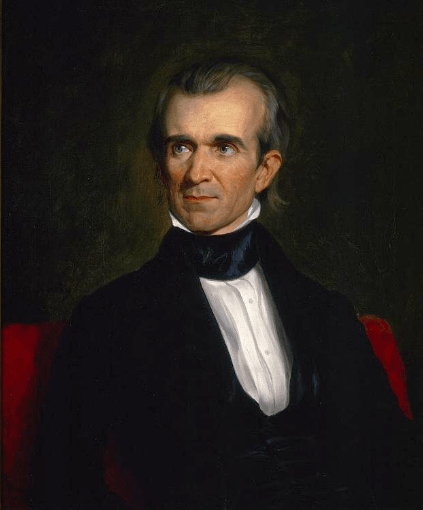 It was named in honor of former United States President James K. Polk, whose 1845 inauguration was on the day after Florida became a state. Growth in Polk County is driven by proximity to both the Tampa and Orlando metropolitan areas along the Interstate 4 corridor. Recent growth has been heaviest in Lakeland (closest to Tampa) and the Northeast areas near Haines City (nearest to Orlando). From 1990–2000, unincorporated areas grew 25%, while incorporated areas grew only 11%. In addition to developing cottage communities for commuters, there is evidence in Haines City of suburban sprawl into unincorporated areas. Despite the impressive growth rate, the unemployment rate of Polk has typically been higher than that of the entire state. In August 2010, the county had an unemployment rate of 13.4% compared to 11.7% for the entire state. Winter Haven was best known as the home of Cypress Gardens, a theme park that closed September 23, 2009. The city is now home to the theme park Legoland Florida, built on the site of Cypress Gardens. Country musician Gram Parsons was from a wealthy family in Winter Haven. Winter Haven was also home to the first Publix supermarket circa 1930, and Lakeland, Florida is where Publix's Corporate Offices are located. According to the U.S. Census Bureau, the county has a total area of 2,011 square miles (5,210 km2), of which 1,798 square miles (4,660 km2) is land and 213 square miles (550 km2) (10.6%) is water. It is the fourth-largest county in Florida by land area and fifth-largest by total area. There were 227,485 households out of which 27.34% had children under the age of 18 living with them, 51.10% were married couples living together, 13.67% had a female householder with no husband present, and 29.96% were non-families. 23.82% of all households were made up of individuals and 10.96% (3.39% male and 7.57% female) had someone living alone who was 65 years of age or older. The average household size was 2.59 and the average family size was 3.05. In the county, the population was spread out, with 23.5% under the age of 18, 8.8% from 18 to 24, 24.0% from 25 to 44, 25.6% from 45 to 64, and 18.0% who were 65 years of age or older. The median age was 39.8 years. For every 100 females there were 96.3 males. For every 100 females age 18 and over, there were 93.7 males. The median income for a household in the county was $43,946, and the median income for a family was $51,395. Males had a median income of $37,768 versus $30,655 for females. The per capita income for the county was $21,881. About 11.5% of families and 15.2% of the population were below the poverty line, including 23.5% of those under age 18 and 8.7% of those aged 65 or over. In 2010, 10.7% of the county's population was foreign born, with 37.8% being naturalized American citizens. Of foreign-born residents, 70.4% were born in Latin America, 11.5% were born in Europe, 10.2% born in Asia, 4.9% in North America, 2.6% born in Africa, and 0.4% were born in Oceania. As of the census of 2000, there were 483,924 people, 187,233 households, and 132,373 families residing in the county. The population density was 258 people per square mile (100/km²). There were 226,376 housing units at an average density of 121 per square mile (47/km²). The racial makeup of the county was 79.58% White (74.6% were Non-Hispanic White), 13.54% Black or African American, 0.38% Native American, 0.93% Asian, 0.04% Pacific Islander, 3.82% from other races, and 1.71% from two or more races. 9.49% of the population were Hispanic or Latino of any race. In 2000 only 37% of county residents lived in incorporated metropolitan areas. As of 2010, 81.80% of all residents spoke English as their first language, while 14.34% spoke Spanish, 0.70% French Creole (mostly Haitian Creole,) and 0.51% of the population spoke French as their mother language. In total, 18.20% of the population spoke languages other than English as their primary language. The Polk County Library Cooperative was formed October 1, 1997 through an Interlocal Agreement between the 13 municipalities with public libraries and the Board of County Commissioners. The Cooperative enables the city-owned and operated public libraries to open their doors to all residents of the county, including those in the unincorporated area. Interlibrary Loan (ILL) offers library patrons the opportunity to request and receive books that are not owned by the Winter Haven Public Library. Through ILL, not only do patrons have access to the circulating book collections of all the library systems in Polk County but also all of the library systems in Florida, as well as universities and public library systems throughout the United States. The Polk County Historical & Genealogical Library was first established in 1937. It opened to the public in January 1940. The library was first located in the office of the County Attorney and was housed in a metal bookcase. Since then the library has been housed in several different locations within the old Polk County Courthouse. In 1968 the library hired its first full-time employee. By 1974 the library added a second employee and was moved to a new location on Hendry Street. In 1987 the library relocated once again, back to the 1908 Courthouse. The library then went under a ten-year renovation process, which led to an expansion that included all three floors of the eastern wing of the Courthouse. As of 2013, the library is located in the east wing of the Historical Courthouse in Bartow. 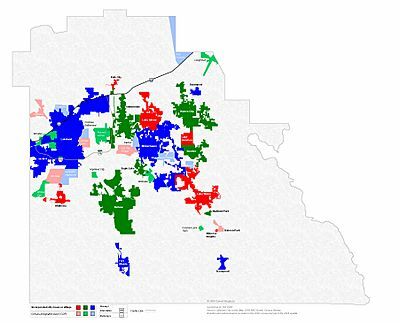 It is governed by the Polk County Board of County Commissioners (BoCC) and administered by the Neighborhood Services Department and the Leisure of Services Division. The library holds one of the largest Genealogical and Historical collections in the Southeast United States. The Polk County Historical & Genealogical Library currently holds over 40,000 items in the collection. The collection includes books, microfilm, and periodicals that include information about the history and genealogy of the entire eastern United States. The selection of materials related to the history of Polk County contains local newspapers dated back to 1881, aerial photography to 1938, city directories to 1925 and property tax rolls to 1882. There are four full-time staff members available for assistance at the library. The library also offers local obituary searches and basic looks ups using email. According to the 2010 Census, just under 38% of the population of the county lives in one of Polk's seventeen incorporated municipalities. The largest city, Lakeland, has over 97,000 residents and is located in the western edge of the county. The other core city of the metropolitan area, Winter Haven, is located in the eastern part of the county and has 34,000 residents. The county seat, Bartow, is located southeast of Lakeland and southwest of Winter Haven and has over 17,000 residents. The cities of Bartow, Lakeland, and Winter Haven form a roughly equilateral triangle pointed downward with Bartow being the south point, Lakeland the west point, and Winter Haven the east point. The other major cities in the county with a population over 10,000 include Haines City, Auburndale and Lake Wales. Haines City is in the northeast part of the county and has over 20,000 residents. Auburndale is located northwest of Winter Haven and Lake Wales is around 16 miles east of Bartow. Polk County, Florida Facts for Kids. Kiddle Encyclopedia.